Our benefice combines two different kinds of parishes and churches. St Philip’s is an evangelical church in Odd Down on the southern slopes of the city of Bath. Combe Hay is a more traditional village church in rural setting close by. Connecting with our communities: There will be differences because of the relative sizes of the congregations and local populations, but our aims are very much in line. Welcoming new people into our church families: We want to welcome those of many different and social and cultural social backgrounds into our church life. Going deeper: We want more people to come to know Jesus and for us all to grow in the depth of our relationship with Him. At St Philip’s, our Sunday morning services tend to be informal with a team of staff and lay people sharing the leading and preaching with the Rector. There are around 190 in our congregation - about 150 adults and 40 children and young people. Combe Hay has two morning services a month which are currently more traditional in style. This small regular worshipping community includes five people in their eighties and a young family, but there is always good attendance at special services and new families in the village in recent months are adding to this. Surrounded by beautiful countryside and wooded hills, Bath https://visitbath.co.uk/ is a World Heritage City renowned for its spa water, ancient Roman Baths and stunning Georgian architecture, making it one of Britain’s busiest tourist destinations. Two miles from the city centre, Odd Down has a population of around 6,000 people in a mixture of private and social housing and accommodation for older people. Combe Hay is an attractive village of around 160 people. Some have lived here all their lives and the population includes professional people, those involved in farming and a good proportion of retired people. Recently there has been an influx of young families. At St Philip’s, times of worship are led by our music group are followed by bible-based talks. Part way through most services there are separate activities for children in their various age groups. Most members have voluntary roles and we are keen to work with the other churches to be more effective in reaching out to the local community. Combe Hay church services are always with either organ or CD music and are led either by the Rector, our Associate Minister or by our Rural Chaplain, who also helps to build stronger links between our church life and the community. The church is ideally placed to become a community hub and is open daily for social and group activities. We’re bridging the gap between the spiritual and the secular. To prioritise outreach to our local community and to work with other churches in Odd Down and Bath and with Combe Hay, maximising resources and strengthening our outreach. To deepen our walk with Jesus and to equip us for outreach through programmes of discipleship training and promote prayer to underpin all church life. To co-ordinate a comprehensive approach to pastoral care. To grow the future leadership especially involving the younger generation of church members. To grow our congregation and encourage a wider and more youthful church membership. To find more ways of introducing a spiritual element in all we do. To continue to make the church central to village life. To consolidate our financial wellbeing through various initiatives. An experienced team leader and team player able to build and manage teams of staff and church members, discern individual’s gifts and encourage and empower them, with good interpersonal skills, sound judgement and ability to get things done. Ability and experience in developing community outreach, building relationships and leading churches in sharing faith with local people, in collaboration with other partners. A caring pastor able to develop comprehensive and co-ordinated pastoral care, mobilise teams and individuals to more effectively link people to support and care wherever needed. An inspired biblical teacher and preacher able to teach and lead in openness to the gifts of the Holy Spirit and ensure that services connect with all sections of our church family. Relates well to younger generational groups to encourage and grow younger leadership and inspire people to take up new challenges. A person of prayer able to help people to go deeper in their walk with Jesus and organise discipleship training to equip for outreach. 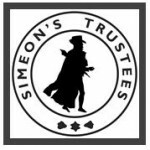 If you wish to have an information conversation with either the Archdeacon or the Simeon's Trustee directly involved please read the Information Letter for contact details.